The following is a review for a dietary supplement Psyllium Clenz. This product contains psyllium seeds, which act as a gentle cleansing medium for the digestive system. Poor digestion is often a symptom of a colon that is no longer functioning correctly. Fortunately, this can easily be addressed by including a supplement into your daily routine. There are a variety of products that provide relief from digestive problems, however, these are laxatives that often do more damage to your digestion. This product is a natural solution for digestive issues like constipation and gastric pain that does not do any additional damage to your health. 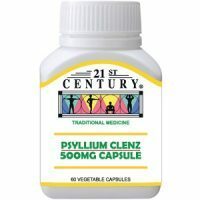 What’s In 21st Century Psyllium Clenz? According to the manufacturer, the only ingredient included in this product is psyllium seeds. 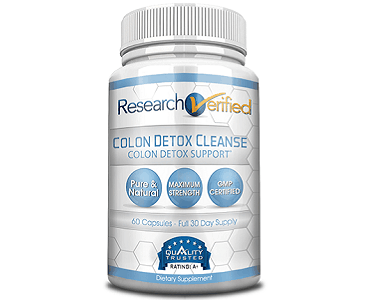 This natural product provides lubrication to the digestive system when exposed to water. Sadly, the manufacturer does not state if there are any additives, preservatives, fillers or binders included in the formula. We also believe that this product lacks many important ingredients that we look for in similar products. 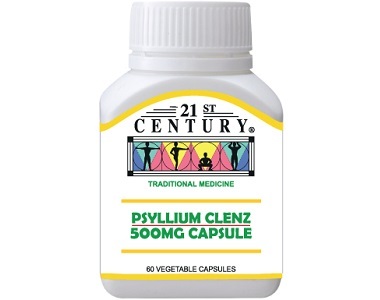 How Do You Use 21st Century Psyllium Clenz? The manufacturer of this product recommends that adults take one or two capsules per night. They state that you should continue this until you no longer notice any uncomfortable symptoms. They do not specifically mention whether you should be taking this supplement with a meal or on an empty stomach. However, they do state that some people may have trouble swallowing this product. If that is the case you can remove the contents of the capsule and add it to water or food to make it more palatable. You can find this product on the manufacturer’s online store. One bottle that contains 60 capsules costs $8.27. Unfortunately, there are no discounts or special offers available for this dietary supplement. There is also no information regarding taxes or shipping fees. You should take this fact into consideration before you buy this product as you will probably pay more for this product than the advertised price. After doing an extensive search on the manufacturer’s website we were unable to find any information regarding a guarantee for this product. This is quite concerning as it indicates a lack of confidence in their product. Additionally, it does not seem that there are any return or refund policies in place. We were also unable to find any reviews for this product. This is rather concerning as it indicates that people are not entirely satisfied with the effects of this supplement. After we completed this review of Psyllium Clenz, we found that this was an acceptable product. It only contains one natural ingredient and it is available for a very reasonable price. Sadly, after we completed our research we found quite a few concerning things. This product does not contain many of the ingredients that are in similar products. The manufacturers do not offer their customers any guarantees and there are also no customer reviews on their website. This makes us think that the manufacturer is hiding something. We would recommend that you do a little research before you buy this supplement.